Courtesy of one of our Pie regulars, Lucy, she’s kindly shared her popular Milk Pie for you to make at home. 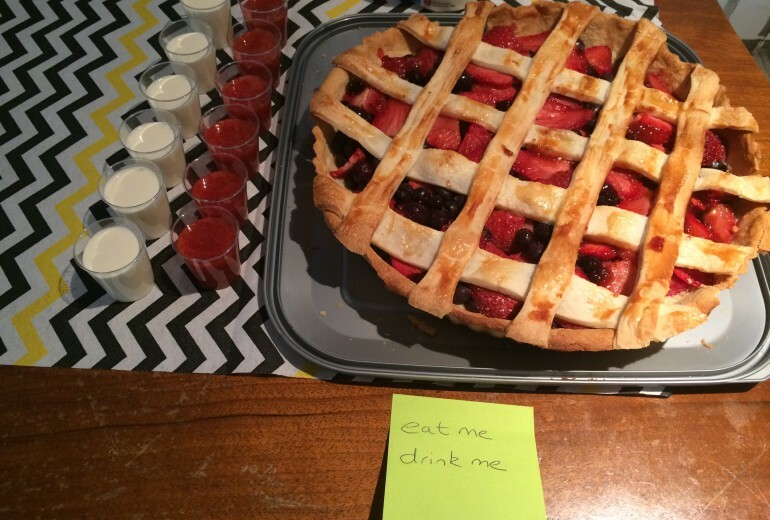 It was smooth, milky goodness and there wasn’t a scrap left at our Christmas pie club in December. When the milk is boiling pour half over the paste whisking so no lumps then return back to the pan and keep stirring until thick. Remove off the heat and allow to cool for 5 mins. Then fold in the egg whites. Pour into pastry case dust with cinnamon and nutmeg bake for 20/25 mins on gas mark 6 or what ever the equivalent is (180 I think). Until you have a wobble. It will rise higher than the case but will drop back when it cools. Leave to cool completely as the filing won’t set properly and may still be runny.